The Clemson Tigers football team visited the White House on Monday night to be recognized for winning the national championship against Alabama. Well, it turns out he wasn’t kidding, and seemed very proud about paying for the fast food. 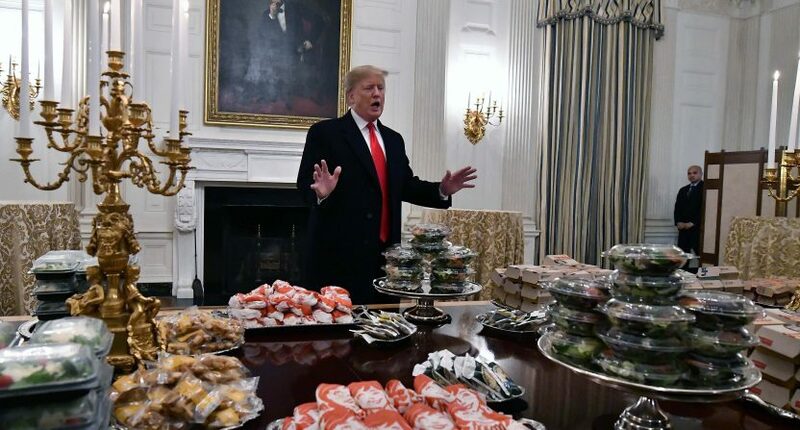 So, the Clemson team lined up in a room full of McDonald’s, Burger King, Wendy’s, and Domino’s for their prestigious White House dinner. That’s the proper reaction, but nope- this was a very real thing.